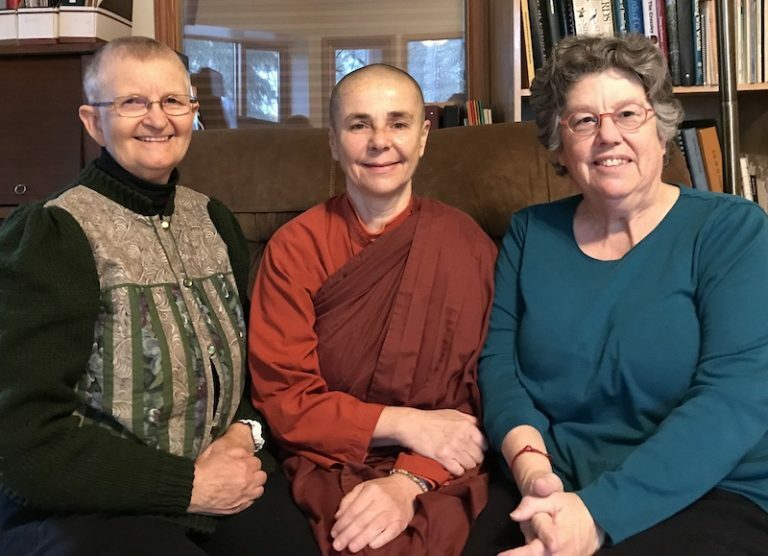 From November 10 through December 4, Ayya Santacitta will visit Canmore again, on invitation of Sanghamitta (left), the founder and resident teacher of the Canmore Theravada Buddhist Community. Sanghamitta is a retired psychiatrist and is also trained in Chinese medicine and sound healing. Jill Boone (right) accompanied Ayya Santacitta for a couple of days and attended a board meeting. 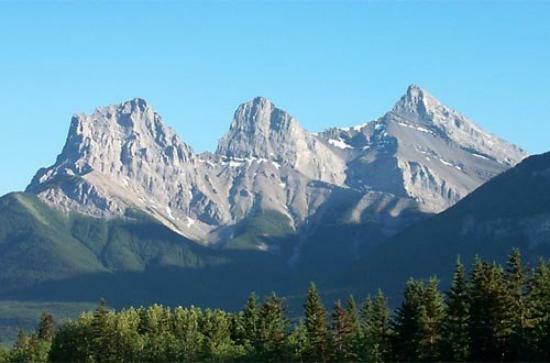 The photo above shows the ‘Three Sisters’ towering above Canmore, about 20 km from Banff National Park.